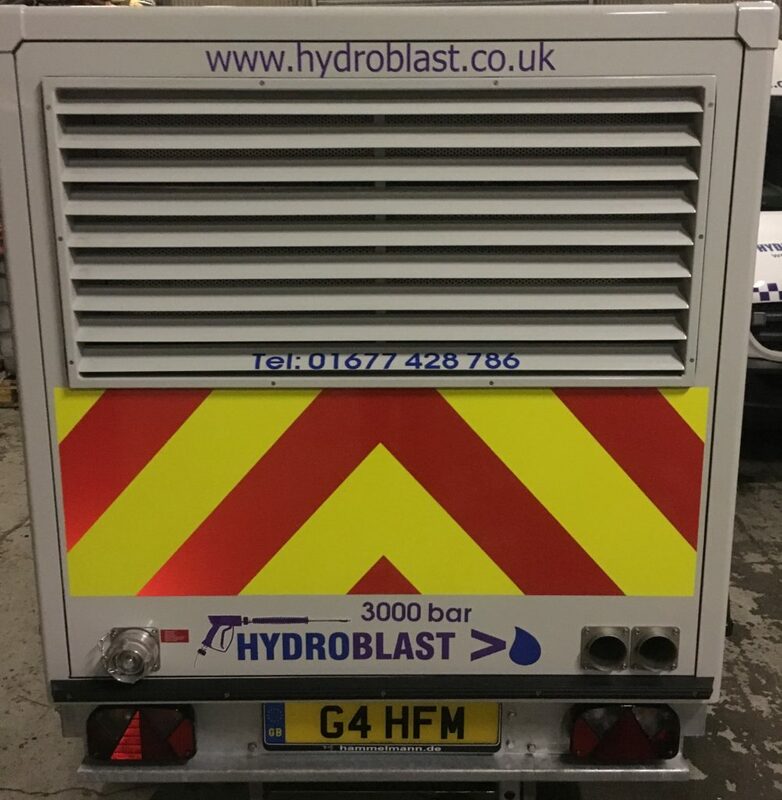 At Hydroblast, we’re always looking for new and improved ways to offer our clients the best service possible. This involves investing in the latest water jetting technology, including innovative new equipment such as the Aqua Spine and the Rotolance. Recently, we made the decision to purchase a reliable new machine that could help us to reduce our impact on the environment, meet our ISO 14001 goal and improve our operations. However, when we were considering what machine to buy, we found that many were excessively heavy to tow or they were too low to the ground. They didn’t include AdBlue or internal bunding systems, and they also consumed enormous amounts of fuel. 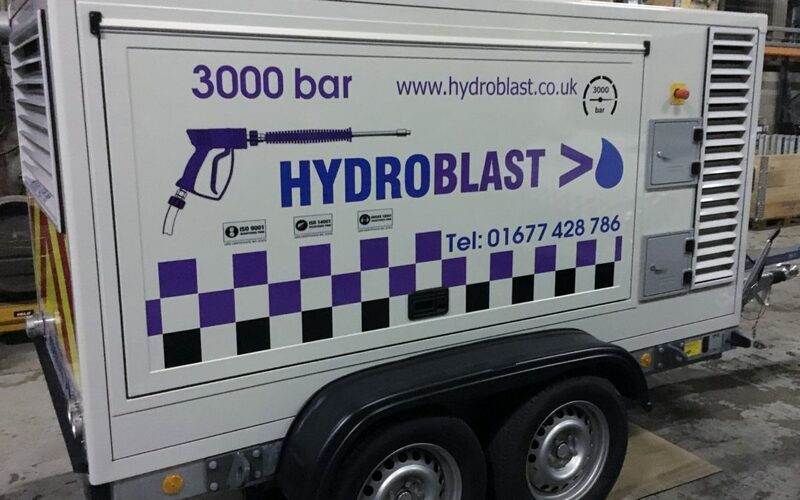 The all new Ultra High Pressure Water Jetting Trailer provided the solution, and it is the first of its kind in the UK. It is very powerful, and it can achieve up to 3000 bar pressure and 30 litres per minute. The machine is light and easy to transport, featuring a 4-wheeled, road-going trailer. It is incredibly quiet due to its sound-damping bodywork and fully-enclosed design. The trailer features a bunded bottom tray, meaning that no drip mats are necessary. It is equipped with an onboard computer, which can monitor and record activity and offer remote telemetry from the office to the machine. This means we can be more aware of its engine and pump, as well as the operatives’ activity during projects. One of the standout qualities of the new trailer is its low impact on the environment. It is equipped with the new Volvo Tier Four Compliant diesel engine and an AdBlue system, meeting requirements for use in Central London. It is also compliant with the non-road mobile machinery directive 97/68/EC. The engine is much more economical than others on the market, requiring almost 15 litres less per hour than the equivalent engine of another supplier. This adds up to save approximately 500 litres for each week of work. In addition, this ultra-low emissions engine is able to recycle and re-use exhaust gases. This leads to a huge reduction in mono-nitrogen oxides and particulate matter, making it much more environmentally friendly. If you would like to learn more about any of our services, please don’t hesitate to get in touch with our team today by emailing [email protected].